Pilgrimage Church of the Virgin Mary. 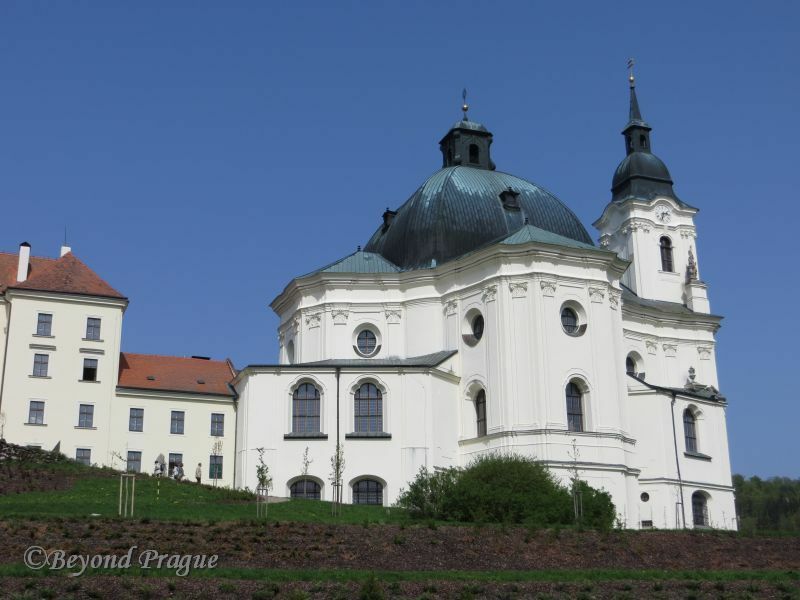 Considered by many to be the finest example of the Baroque architectural style in the Czech Republic, the Pilgrimage Church of the Virgin Mary, in the village of Křtiny, is quite deserving of its nickname: “The Pearl of Moravia”. From the well maintained exteriors to the rich interiors bathed in plenty of natural light, this building really is something to take in. 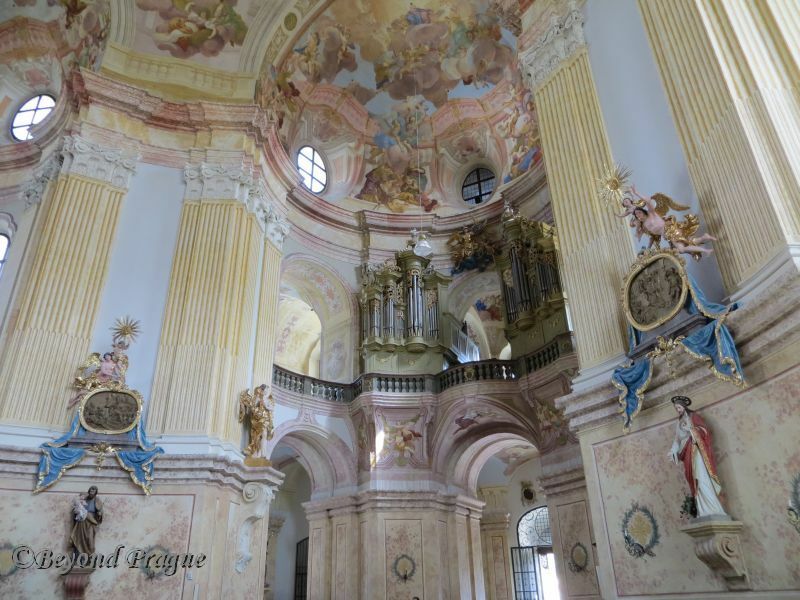 Designed by renowned Baroque architect Jan Santini in the early 1700s, the present church replaced two smaller churches that sat on the same site. Santini designed several other Baroque structures throughout the Czech lands; this particular church was not completed until 1750, well after Santini’s death. Nestled in a valley where the saints Cyril and Methodius arrived in the 9th century and are said to have carried out baptisms, this area has been visited by pilgrims for much longer than the current church has been standing, the first mention of pilgrimages to the area dates to the early 1200s. Whether making an actual pilgrimage or simply touring the area, the region will reward your visit with some lovely views of the lush green woodland that the Moravian Karst is known for. 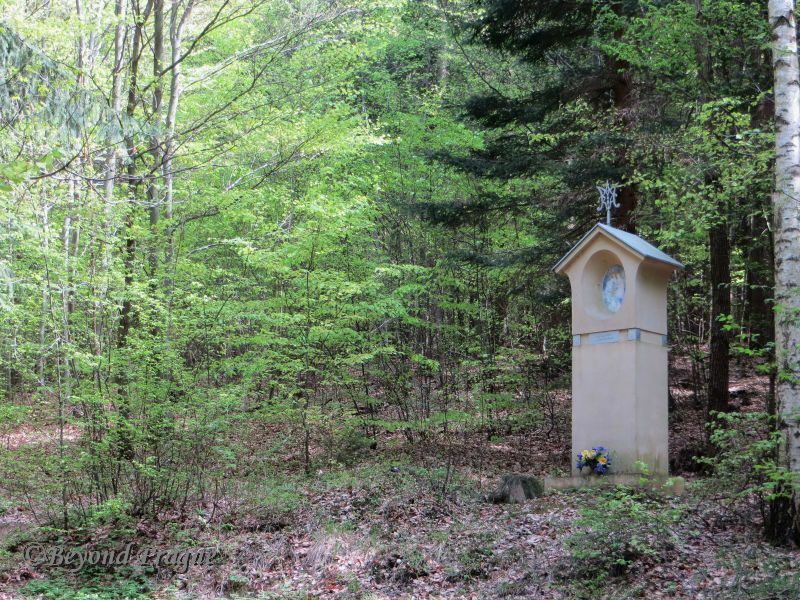 Beyond the church itself, there is a lovely trail through the surrounding woods with prayer columns regularly along the way. One of the several prayer columns along the nature trail. Křtiny can be accessed from Brno by both bus and car and can make a very nice day trip from the city.